Ever wished you could know exactly how your customers react to the email you sent? Want to understand what your clients think of your marketing and which emails or links they find attractive and motivating? Want to have a system that automatically reacts to each and every customer’s actions individually? With email campaign triggers you can now know exactly how your customers respond to your emails and have a system that automatically reacts! Email campaign triggers allow you to design a system that interacts with the client and to transform the one way communication that normal email marketing enables into a two way communication where you react to your customer’s actions. The greatest aspect of triggers is that they are completely automated, just set up your triggers in advanced and they will be activated automatically, giving your clients the feeling that you are constantly paying attention to them and reacting to their actions. So what exactly are email campaign triggers? When you send out and email, the main goal is usually to get your clients to click on a link within the email. The link then leads the client to a landing page on your website and your ability to follow up on that comes to an end. We believe that more can be done with the information that you have just acquired about your client. You now know which kinds of products interest the client and that he was interested enough to click on the link. This kind of information can be used to our advantage and this is where email campaign triggers come into play. Configure a trigger which marks that client as a client who was interested in that certain product and follow up with more emails that push that product forward. If you are trying to sign up more customers then send that client, who has already shown interest, a link to the sign up page. You can even configure a trigger which forwards that client’s information to a sales agent which can then contact only the customers who have already shown interest. 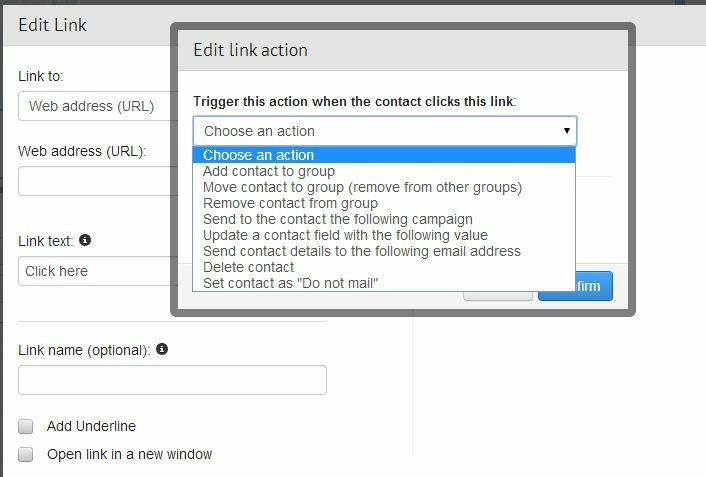 All these actions and many more can be carried out automatically by using email campaign triggers and most importantly, you don’t have to lift a finger, it will just happen on its own. Adding a new trigger is just as easy as it sounds. 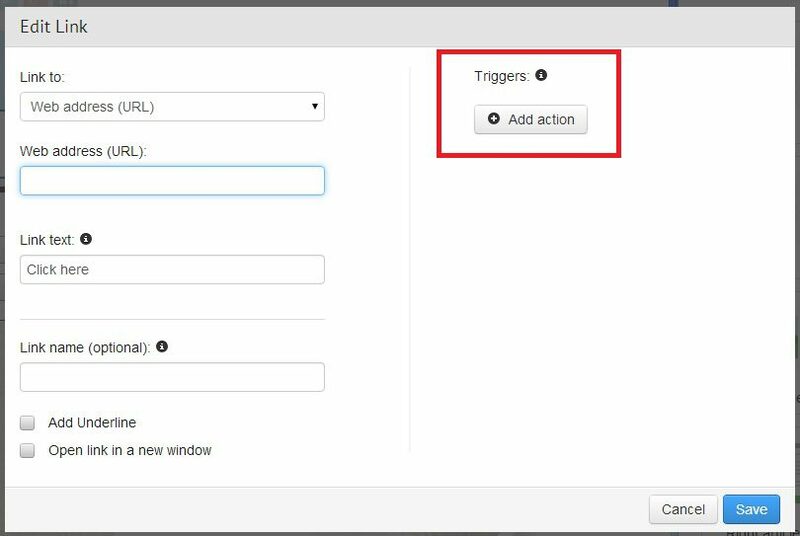 When adding a new link to your email or newsletter, just click the ‘Add Trigger’ button and use our easy to understand system to add any trigger you want. Adding the client to a new mailing list. Moving the client from one list to another. Deleting a client from a certain mailing list. Sending a follow up email to the client. Forwarding the client’s information to a sales representative. No marketing plan is complete without automated triggers! Try out ActiveTrail’s first-rate triggers system, it won’t let you down.